Every so often a new movie arrives amid a great deal of hype; of course, they don’t always live up to it. Those that fail to deliver leave audiences somewhat disappointed and in some cases downright angry. That is the danger of allowing yourself to get sucked into the hype machine. In any case, Get Out is the latest to arrive amid a flurry of hype. I have to admit, the trailer looked really good and I had hopes for it. Now, having seen the film, I can attest to its quality and that it lives up to the hype quite admirably. Get Out is a solid film that is as entertaining as it is serious, even in moments of levity. The movie was written and directed by Jordan Peele. This fact took me aback for a minute. You see, I did not immediately make the connection between this Jordan Peele and the Peele of the comedy duo Key and Peele, who were behind last year’s comedy romp Keanu. Yes, people work in different genres all the time, but I do not recall the last time a comic star turned to horror, much less writing and directing horror. Now, taking that a step further, with his first shot out of the gate, he nailed it. 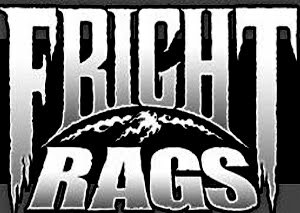 It is scary, it is intelligent, it is involving, it is a movie worth spending a little bit of time with. 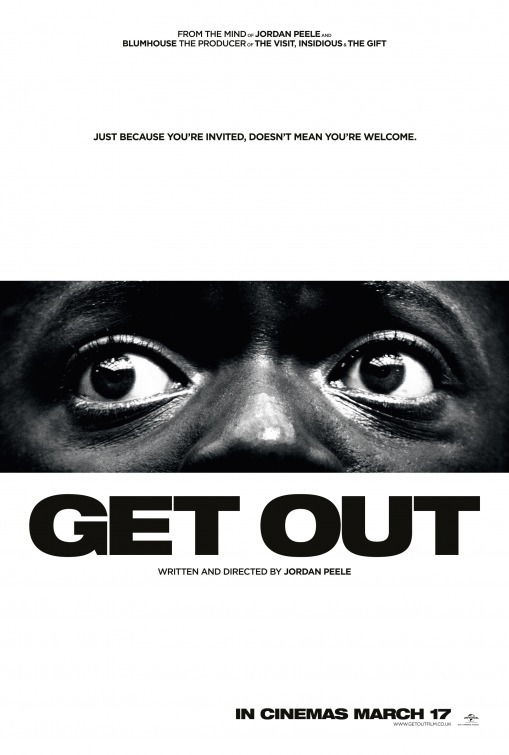 Get Out follows Chris Washington (Daniel Kaluuya) as he accompanies his white girlfriend, Rose (Allison Williams) to the upstate home of parents, deep in the heart of an almost purely white community. Before they head out on their trip, Chris is sure to ask Rose if her parents know that he is black. I do not see this question necessarily as a warning sign of potential racism, but it is more likely indicative of Chris’s experience and would rather not startle them. In any case, they make their way to her parents home where they are warmly welcomed, although there is certainly a touch of culture and age clash on display. Rose’s folks (played by Bradley Whitford and Catherine Keener) seem open to the relationship, although it does spur some attempts at being cool, or at the minimum attempts to identify with Chris on the part of her dad. This is evidenced by his awkward use of slang and stating that would vote for Obama again if he could. This is an interesting moment, sort of replicated later when a party guest mentions knowing Tiger Woods, it is as if when a white person lets out a bit of potentially unintentional racism by trying to show that they know other black people than the one they speaking to at the moment. It is certainly awkward and the effect is not lost in this film. The further into the movie we go, the more out of place Chris feels and the more uncomfortable he gets. Beyond that the few black people that Chris does encounter seem to be acting very strangely, not how he would expect them to be. The more this goes on, the more he is convinced he needs to leave. It is about this time that we learn a little more about what is going on and the movie takes a turn. I don’t want to give anything else away. Get Out does prove to be a thrilling ride, scary, but with just enough levity to keep it mostly comfortable. 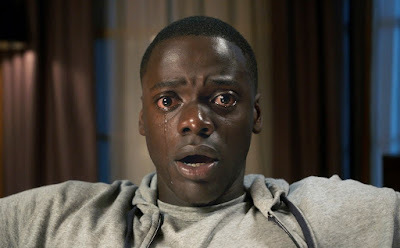 Writer/director Jordan Peele has crafted an involving and intelligent film that is reminiscent of The Twilight Zone and The Stepford Wives with an eye on race relations. It is fascinating to watch how the characters interact and how the feeling of danger and dread slowly builds, gnawing at the back of your mind before confronting you with the true malevolence that had been rising to the surface. 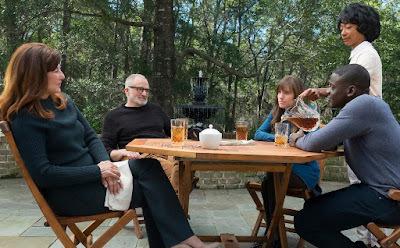 Get Out is an intelligent film that has a lot going on below the surface and surely demands multiple viewings. It takes us inside modern race relations, ranging from the subtle to the blatant, ugliness that simmers below a surface that is not always willing to acknowledge it. It is also a movie that has enough going for it that even if you do not dive into the subtext, is strong enough on its own to entertain and terrify an audience. No matter how you cut it, this is a very good film.